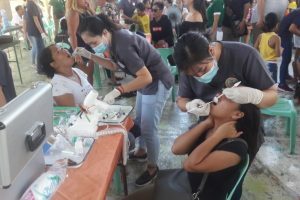 Successful Dental Mission in Alumnos Mambaling! Providing Service Above Self Since 1981! As you can see from our website, our club is active in a variety of areas, both in the local community and worldwide. The Rotarians that make up our membership represent a variety of professions, ages, and interests. Our members are passionate about serving others. If you want to learn more about the Rotary Club of Cebu East, join us for a meeting or request more information from this website. The Rotary motto “Service Above Self “conveys the humanitarian spirit of the organization’s more than 1.2 million members in more than 34,000 clubs worldwide. Strong fellowship among Rotarians and meaningful community and international service projects characterize Rotary worldwide. There’s something that all Rotary club members have in common: We take action. As community volunteers, we reach out to neighbors in need. We build, support, and organize. We save lives. We work locally and globally to make our community and the world a better place. Our Club has focused on all of the six main areas of Rotary service: Peace and conflict prevention/resolution, Disease prevention and treatment, Water and sanitation, Maternal and child health, Basic education and literacy, and economic and community development. 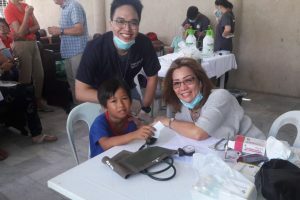 Some examples of our projects include: delivering books and supplies to several schools, feeding programs, Christmas donations of food, college scholarships, medical and dental missions, Dengue eradication, school renovations, and many more local community projects. What would it take to change the world? What would world peace look like? Rotarians believe it starts with a commitment to Service Above Self. RC Cebu East is looking for a Twin club (sometimes called sister club) or clubs from outside the Philippines to develop a long-term relationship to promote international understanding, foster goodwill, and conduct service projects together. Our goal is to create a project that together we can be known for. 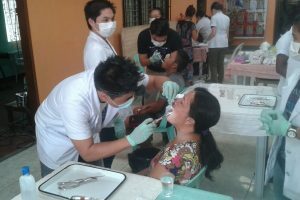 Annual Compostela Dental Mission -- Another Triumph! 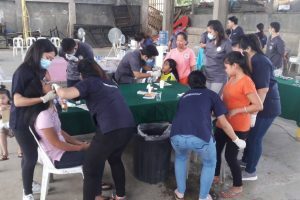 © 2019 Rotary Club Of Cebu East.